Shampoo Tray makes washing and rinsing hair in a seated position easier for the elderly and those with physical challenges. Shampoo Hair Tray. - Contoured shape fits neck and shoulders comfortably so you don't have to bend backwards into sink and risk injury. (1x) Square Acrylic Fiber Bowl with Gloss finish. -(1x) Steel Drain Basket. Classic Square design-advanced style. It is stain resistant, and easy to clean. -(1X) Gel Neck rest. -(1x) P-trap (Hair Trap). 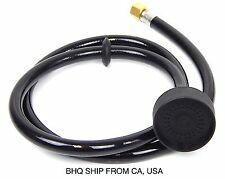 Includes PVC hair trap, 2 slip nuts, 1 1/2" washer, filter/handle assembly and O-ring. Asta di regolazione. Nuovo con scatola. Fit most shampoo bowl unit in the U.S.A market. 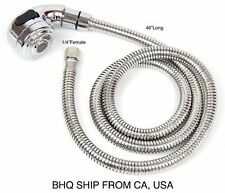 Shampoo bowl sprayer hose and head. PRODUTTORE: LABOR. DOCCETTA PROFESSIONALE DA LAVORO. Doccetta in plastica con attacco universale adattabile a qualsiasi rubinetto di casa o in salone. Nella rara eventualità in cui si dovesse presentare un problema. Comair Gel-Nackenschutz für Rückwärtswaschbecken. Comair Nackenwedel Jumbo schwarz/gold Nackenpinsel. Comair Color Augenbrauen- und Wimpernfarbe tiefschwarz 15 ml. Comair Color Augenbrauen- und Wimpernfarbe naturbraun 15 ml. Universal fit for all professional salon shampoo bowls & basins. Designed for extra comfort at the shampoo bowl. Made of soft silicon gel which is durable and flexible. 1x Neck Rest. Health & Beauty. b. No need this product after received. 1x Shampoo Basin. A plug to prevent the water out, a drain hose to empty out water. Fully angle adjustable bowl can swivel front and back. A portable design, lightweight and durable. 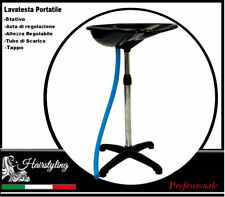 Adjustable height to accommodate any reclining or normal chair. Produttore: LABOR. DOCCETTA UNIVERSALE. Nella rara eventualità in cui si dovesse presentare un problema. Serietà e celerità sono da sempre le prerogative alla base della nostra attività. fisso: 092328322. Kodo Neck Cushion For Salon Basins. 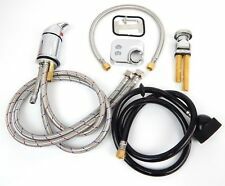 New Chrome Professional Salon Faucet For Sink and Shampoo Backwash Unit UPC 3/4"
" BE SURE TO LOOK AT ALL OUR BEAUTY PRODUCTS ON EBAY"
GAMOX Rubinetterie. 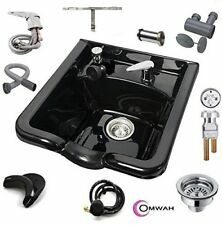 Salon, Barber Mixer Tap. 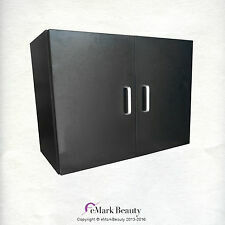 Fits most shampoo bowls and backwash units. eMark Beauty. 1-YeareMark Beauty Warranty. Comair Nackenwedel Jumbo schwarz/gold Nackenpinsel. Die auf den Batterien abgebildeten Symbole haben folgende Bedeutung: Das Symbol der durchgekreuzten Mülltonne bedeutet, dass die Batterie nicht in den Hausmüll gegeben werden darf. Comair Nackenwedel Jumbo schwarz/gold Nackenpinsel. Comair Color Augenbrauen- und Wimpernfarbe tiefschwarz 15 ml. Comair Color Augenbrauen- und Wimpernfarbe naturbraun 15 ml. M:C Blondierpulver 500 g Cream Oxide 6 % H2O2 Wasserstoff Blondierung. Adjusts From Hot To Cold. Connection Size (Water inlet/outlet) :3/4". 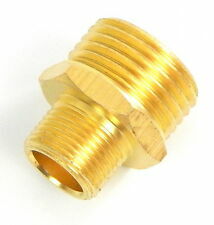 Male Connector: 3/4". Fully adjustable - Accommodates reclining or standard chairs; basin can be tilted front or back to any working angle and bowl raised or lowered as needed. Both tilt and height settings are locked into place with the tension knob. Fits most shampoo bowls and backwash units. Beauty Salon Shampoo Bowl. 1-YearBeauty Salon Shampoo Bowl Warranty. Comair Nackenwedel Jumbo schwarz/gold Nackenpinsel. Fanola No Yellow Shampoo 350 ml Anti Gelbstich für blondes Haar Blond Silber. Eventuell ist es notwendig zum Betrieb einen entsprechenden Adapter zu verwenden. 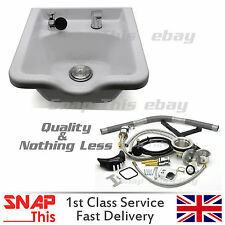 Universal fit for all professional salon shampoo bowls & basins. Designed for extra comfort at the shampoo bowl. Made of soft silicon gel which is durable and flexible. 1x Neck Rest. Can't wait?. b. No need this product after received. RM Handspray: This Handspray is compatable with the RM Monobloc tap and hose, and REM Basins. Professional hairdressing hand shower. Perfect for hairdressing salons.